As a primary care provider, a certain amount of my attention and focus would of course be about issues affecting females. Breast Cancer, Heart Disease, Unnecessary Hysterectomies back in the 60’s etc. etc. etc. The loss of my closest and dearest friend/mentor Jewell who passed from breast cancer this past December has riled me up to want to know WHY NO CURE YET? I have lost a number of people to breast cancer and I can tell you enough is enough! Millions and billions of dollars for research and so far nothing. Something is wrong. Where is all the money going to? I don’t much care about the Komen Foundation, Planned Parenthood or the American Cancer Society. All I care about is taking OUR power back and finding first the cause then the cure for this nasty disease. If you have not already viewed them, please take the time to do so know. 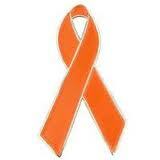 Let’s take back the “SALMON” ribbon.